DogTrekker.com is on a mission. It all starts with our 4-Paw Promise™: to deliver local and accurate listings, provide engaging and actionable content and focus on social commitment to the communities we serve. DogTrekker.com (and our new mobile app) covers the great dog-passionate™ state of California, including 10,000 listings including dog-friendly hotels, restaurants, hikes, beaches, attractions, wineries, local and emergency services. Whether you are traveling two miles to hike or two hundred to explore the hidden beaches of Lake Tahoe, DogTrekker.com is your guide. 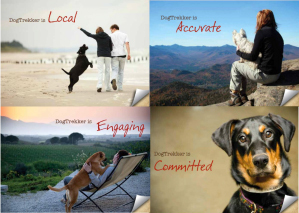 DogTrekker's commitment to local rescue and adoption organizations includes visibility on our site and newsletter plus promotional and financial support. Our goal is to make a difference in the number of dogs entering shelters and rescues, and to assist those already there in finding forever homes. 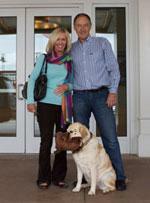 Our support further extends to organizations advocating for dog-access rights in our cities and on our public lands. 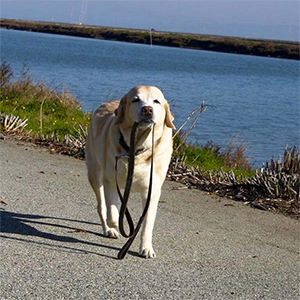 "Leash Wars" currently are being waged on a number of fronts throughout California. 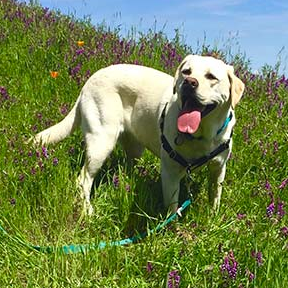 At risk are many on—and off-leash—privileges long enjoyed in our national, state, county and regional parks. DogTrekker follows these issues carefully, constantly updating our site and letting you know about public meetings and other ways to bark back. As always, please contact us with any questions, concerns or ideas that would improve our brand promise for you and your four-legged friends.